Making through wire musky lures is something that not a lot of people understand. But in order to make a musky lure that will endure the vicious strikes and severe punishment it will be subjected to, it’s pretty imperative that every lure used to catch musky be fitted with through wire construction. We want to show you how making through wire musky lures can be done by even novice lure makers. We have a video below that will demonstrate this technique, step by step. Best of all, the lure maker in this video uses an oversized lure, to make it easier to see the details of what’s being done. The objective behind through wire construction is to create lures that will last longer and stand up to extreme conditions. Musky lures are just one example. Another good example would be lures made to catch big striped bass, or even big Peacock Bass in South America. When a lure uses through wire construction, it will be virtually impossible for a big fish to pull the hooks from the lure. It basically eliminates a point of failure by replacing screw eyes with heavy-duty twisted wire. Through wire construction uses a solid piece of heavy wire that runs from the nose of the lure, through to the tail hook. Additionally, some lure makers run the wire from the nose to the belly. All in all, the wire aspects of the lure are pretty close to indestructible, at least by the fish. Here’s a great example of through wire construction on a smaller crankbait designed to catch bass. On most baits, the wire in the nose acts as the line tie. The wire that exits the rear of the bait is the hook hanger for the rear hook. The wire is twisted to create hook attachments that will stand up to abuse. If the lure maker chooses to run a wire to the belly hook this will eliminate the need for a screw eye in the belly. Why Not Use Screw Eyes? Screw eyes work well under “normal” conditions. But under the extreme conditions created by large muskies, a screw eye would more than likely be yanked from the lure body after just a few fish. Some lure makers like to use epoxy to hold their screw eyes in place. And this is a great idea, but it still won’t create an attachment point strong enough to stand up to hooking, fighting and landing several good muskies or other large gamefish. Now it’s time to put theory behind us and get to work with the actual process of making through wire musky lures. Because this process has a few different steps, we have included three different videos below. These three videos cover the process pretty thoroughly. 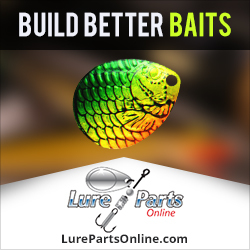 In the first video below you will be shown how to run the wire through the body of your lure. The second video shows how to drill through the center of your wood lure body, creating a path for your wire to run through. The third video will show you how to twist your wire to create the loops necessary to hold the hooks and tie your line to. You will also learn how to bend the wire in a way that is sure to hold the hooks in place, even under the most demanding conditions. 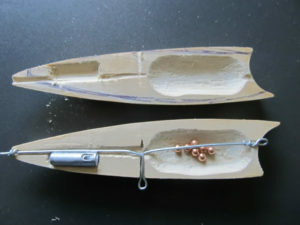 We’ve also included a 4th video that shows a couple other methods for wiring a wood lure. How to drill a hole through the center of your lure. 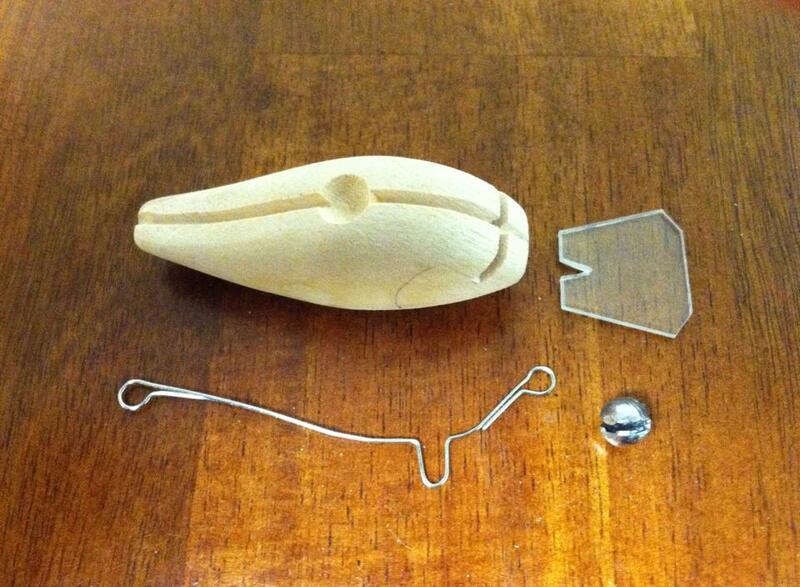 This entry was posted in Making Wooden Lures and tagged how to make through wire wood lures, making wooden lures, Through wire construction for wooden lures, Through wire musky lures on April 26, 2017 by Lure Parts Online.